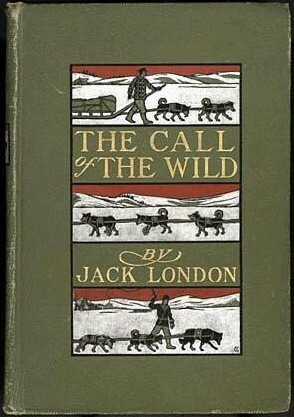 Aloha Oe is a short story by Jack London, an American author. The story is set in the wharf of a Hawaiian Island, where a ship is just departing with the coterie of a Senator who is just winding up a junketing trip to the island. The senator is accompanied by his daughter, Dorothy. The entire story is set among the festivities surrounding the departing ship on one hand and Dorothy’s reminiscences of her brief yet memorable time she spent with a hapa-haole, Stephen. Dorothy, Stephen and the senator Jeremy Sambrooke make up the characters in this story. The author begins with a vivid narrative of the setting at the wharf. He portrays a noisy wharf bustling with music and mayhem surrounding the departure of the Senator and his group. The author brings out the music and noise by the use of such words and phrases that almost reproduce the feel of sounds – diapason, hubbub, “…singer’s voice rising birdlike…”. There is a lot of attention to detail; the movements on the promenade, the music playing, the kind of people around who the story is about and even those that the story is not about. However, the story is neither about the festivities nor about any of the people who are described. These are merely the context for the main theme of the story. The author also dwells on the wave of emotions that are ebbing through Dorothy’s mind as she is readying herself to wave goodbye to the island. She is only coming to terms with the fact that she is soon not going to see Stephen only as the ship is setting sail. The author seems to portray this as Dorothy’s early days of entering womanhood from being a young girl, who looked on Stephen as her playmate. In spite of going to great lengths in describing their brief romantic interlude, the author does not develop this further, nor does he give the reader an indication who will or will not happen about these two. The entire point of view presented is that of Dorothy, who is unable to understand what she is going through. On one hand, she is faced with a wave of emotions drawing her towards Stephen, and on the other, she is faced with the hopelessness of the situation, given that Stephen is of a different social and racial class. The story is clearly about the young daughter’s (perhaps) first brief affair and her coming to terms with understanding her own attraction towards Stephen, the underlying theme of the story is the divide between social classes. The author introduces this divide when the daughter recollects an incident at Mrs. Stanton’s tea party, where a an apparently derisive reference is made to someone of mixed blood as a “half-caste” and how the others have to be cautious about this. The story portrays the subtle yet tangible undercurrents of race and class in the society through the recollections of conversations at this party as well as a “test” that the daughter conducts through asking her father if Stephen could stay with them, if and when he comes to the mainland, to which her father answers “”Certainly not…Stephen Knight is a hapa-haole and you know what that means.” The story uses the premise of a brief romantic involvement to portray an underlying theme of social class and race. In a brief description of the farewell ceremony to a junketing senator, the author has been able to communicate the subtle racial and social class theme. In summary, the story is about social class and racism presented through the eyes of a young Dorothy, daughter of a rich senator who has had a brief romantic encounter with Stephen, a Hawaiian youth of mixed racial ethnicity.